The Sun Media franchise has been unfairly criticized as an extension of the Harper regime, much in the same way as Fox News parrots the GOP line. I say unfairly because while Sun certainly is right-winged, I don't consider them as partisan as Fox News. However, this article by Warren Kinsella has cast doubts on my ratiocination. He's written an article entitled "Grtis' road back from decade of disaster" where he highlights three proposals the Liberals should adopt if they ever want to win an election again. I did this two months ago, highlighting central banking, inefficient bureaucracies and war as the three main topics that would resonate with Canadians in the post-American world. Kinsella is a little more two-dimensional than that, citing three proposals that reaffirm the Left's belief that the Sun Media conglomerate is purposely trying to rid the world of left-wing statism. Before we begin: full disclosure. I don't vote, I consider politics to be immoral and I hate the prospect of the state as a cataclysm for change; but I sympathize with the Liberal Party of Canada. As a teenager, for brief time I was a card-carrying member of the Liberal Party and I still ignorantly hope that a leader will emerge that will stand up for private property, free markets, civil liberties and sound money. Obviously, I envy American youth that had Ron Paul to rally behind in their (failed) attempt to infiltrate the Republican Party. In a similar vein I wish to see an attempted coop of the Liberal Party. Being a smaller nation (population wise), with less Empire and a smaller role on the world stage, I (perhaps naively) believe that a coup d'état of the Liberal Party can be successful. Hence my attempt to defend the Grits against this three-step proposal that would solidify the Liberal Party to the dustbin of history. One, take back the two themes that made them the most successful political machine in western democracy: Managerial competence and strong central government. Two, impose communications self-discipline, and religiously defend the leader. Three, get a leader progressive voters like, as they did Chretien. And there’s only one: Justin Trudeau." The Liberals won't win in 2015; this is obvious. With the global depression in full swing Harper will either be reduced to minority or the NDP will form government. If the Grits follow through with Kinsella's requests they will for sure be forgotten. Regarding proposal number one: the Liberals need to stop living in the past, yet this is exactly what Kinsella is proposing. All this talk about the Chrétien/Martin legacy or Trudeau's accomplishments have no bearing on reality whatsoever. For Canadians that are struggling to make ends meet, worried about the future of the economy or wondering how our social services will be funded, this kind of celebration of partisan history does nothing to win over support. As far as managerial competence goes, Trudeau increased the deficit to absurd proportions and the Chrétien/Martin team applied the Mike Harris formula to all of Canada. Downgrading responsibilities to (in this case) provincial jurisdictions while keeping the tax loot for themselves in order to balance the budget. The result was a federal government in the black with provinces in the red. Hurrah for fiscal responsibility! Contained in the first proposal alongside "managerial competence" is "strong central government." While this is a favourable trend among political, corporate and financial elite, centralization of power and wealth is the opposite of the liberal ideal. The stronger, more centralized governments are the less free individuals are going to be. This follows from the fact that a) the government doesn't have any money of its own and b) the government doesn't have any money of its own. It's worth repeating. If Liberals present Canadians with a platform in 2015 that basically says "We wish to increase the power, size and influence of Ottawa" they're bound to lose worse than they did in 2011. Proposal number 2: "impose communications self-discipline, and religiously defend the leader." Again, the idea that a centralized bureaucracy is the path to prosperity is an affront to liberalism itself. Take a look at the Ron Paul campaign. Was there any structural campaigning? Barely. A good chunk of it was organic, fed by the grassroots support Ron Paul attracted. And did his supporters religiously defend him? Not always. Many were simply attracted to his foreign policy, disillusioned with Obama's lies. As Paul himself equipped, "freedom is popular" bringing in all different types of people with a variety of beliefs. If the Grits elect a moronic leader with the most idiotic policies, it won't matter how united and defensive the Liberals are, Canadians will see right through it. Unquestioning obedience doesn't equal more votes. If anything it subtracts votes. But if that's the route the Liberals are going to take, perhaps before religiously defending a leader they should actually choose one. Regarding this, Kinsella proposes Justin Trudeau. And this confirms my belief that the left-wing opponents of Sun Media are right: Kinsella is trying to promote the Conservative Party by promoting the worst possible decision the Liberals can take. Now don't get me wrong: Trudeau could be just the thing the Grits need. He's young, fluent in both languages and has the advantage of being a popular son. Although it might hurt their credibility out West, considering the Grits have no credibility out West, Trudeau can't do much more harm. But without a liberal philosophy, Trudeau would end up alongside Dion and Ignatieff in the ash heap of history. The act of just electing Justin Trudeau as Liberal Leader doesn't mean anything unto itself. The problem with the Liberal Party is that they've become marginalized in the political spectrum. The Tories are centre-right, the NDP have become centre-left. This leaves little policy options for a strictly centre party. And considering that the recent Liberal voting record has a socially conservative and economically collectivist bent, it's astounding that the Grits haven't become entirely irrelevant. But as Kinsella says, "Ten years! A lot can happen to a political party in 10 years." Indeed. The Liberals won't win in 2015. They probably won't elect a decent leader in 2013. Unless they read this blog, they'll probably never win again and end up disbanding, with the left-wing merging with the NDP and what's left of the right-wing cuddling with the Conservatives. And yes, I actually wrote that unless the Liberals read this blog, they will never win again. My rationale is that I'm writing about liberalism within the context of Austrian economics. It was once said that "we are all Keynesians now." In the future, we're all be Austrians. If the Grits sacrifice (apparent) short-term political gains for long-term growth, they'll make a comeback. But this involves abandoning John Maynard Keynes for Ludwig von Mises. *Note, the problem with all these initiatives are that they are "plans" as in central top-down authority as opposed to grassroots free market individualism, which is what liberalism is all about. 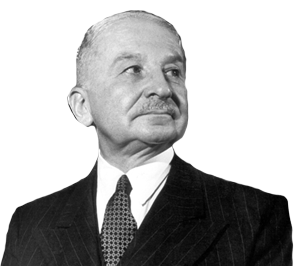 For more info, I suggest reading Liberalism by Ludwig on Mises.